You melt the butter and stir it until it gets fluffy. 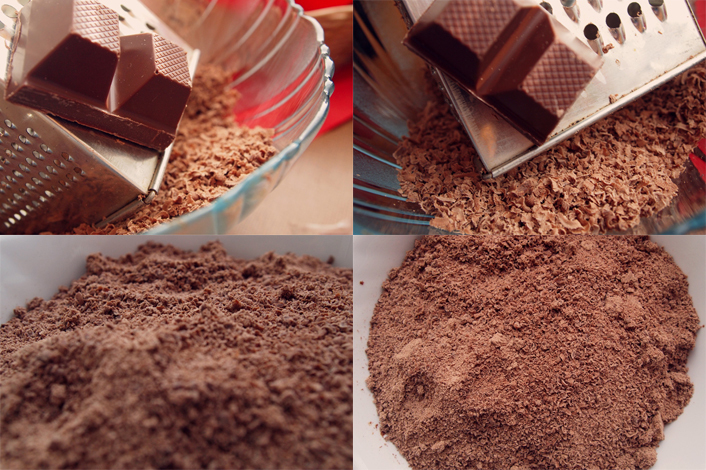 Then one by one, you slowly keep adding the grated chocolate, the powdered sugar and the cocoa. 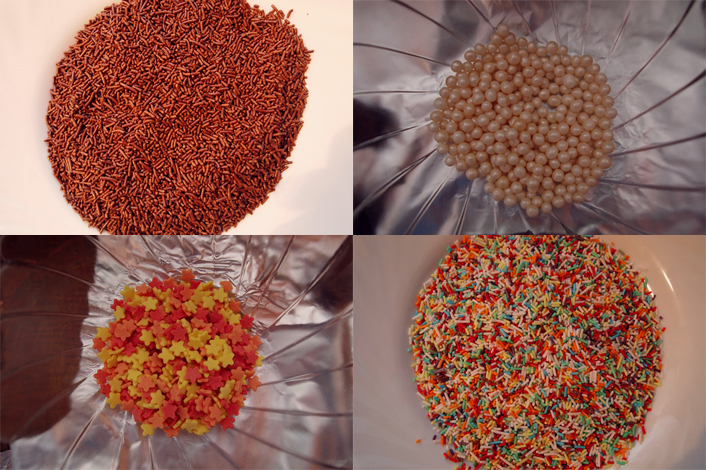 If the mixture looks all sticky like on the lower first picture, then you have to cover the bowl with plastic foil and pit it in the fridge for about an hour. Now feel free to decorate your chocolate in whichever way you want. What looks the best is when you slowly melt the milk and white chocolate couverture with a double boiler and dip your little chocolate scoops into it, turn it around a bit, and then take it out with a small spoon and let it drain well. 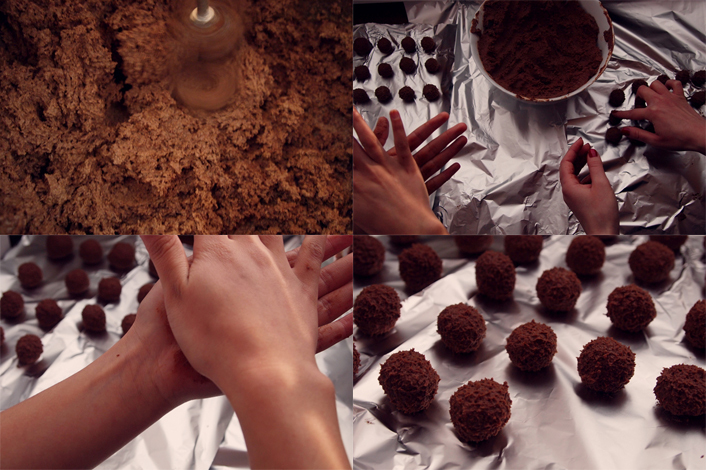 Now feel free to put some crumbles on your chocolate and voilá, finished!